What is ISO 27001 and why it is so important? Thread: What is ISO 27001 and why it is so important? 2018 looks like a big year for information security. 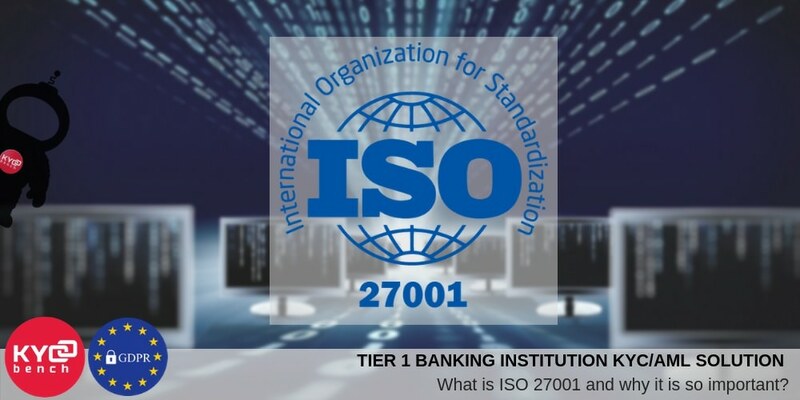 With major questions being raised about cyber security initiatives such as the EU’s General Data Protection Regulation (GDPR) brought into effect in late May this year, International Organization for Standardization with ISO 27000 family of standards has come at just the right time. ISO 27001 is one of the most popular information security standards in the world, with certifications growing by more than 450% in the past ten years. The ISO 27001:2013 (also known as BS EN 27001:2017) is the international standard which is recognised globally for managing risks to the security of information a company holds. This standard provides a framework for an Information Security Management Systems (ISMS) that enables the continued confidentiality, integrity and availability of information as well as legal compliance with regulations such as the European Union GDPR. The standard adopts a process based approach for establishing, implementing, operating, monitoring, maintaining, and improving the company’s ISMS. ISO 27001 certification is essential for protecting of the most vital assets. Information security is at the heart of KYCBench operation and our customers can be confident that we have the necessary controls in place to protect their sensitive personal and identification data. The protection of this data is critical to all KYCBench customers – ICOs, exchange markets, health care institutions, online casinos and gambling companies, who are all under increasing pressure to ensure the right controls are in place. Our Information Security Management System is tailored to the provision of online solutions and services to the KYC market. Achieving ISO27001 accreditation demonstrates commitment of KYCBench to maintaining the highest standards of data security and provides an independent, expert assessment that information security is managed in line with international best practice and KYCBench business objectives.